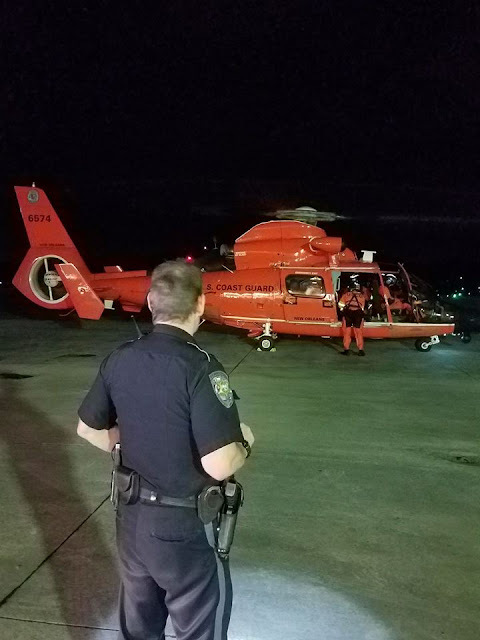 The commercial pilot was conducting an aerial observation flight to photograph an oil rig in the Gulf of Mexico that was located about 185 miles southwest of the departure airport. According to the pilot, before departing the operator's base to pick up passengers, fuel was visible "in each tank at the bottom of the sidewall," and the fuel gauges indicated about 45 gallons "a side." The pilot completed the 30-minute flight to pick up the passengers without incident. The rear cabin door was then removed to facilitate the photography. About 40 gallons of fuel remained in each tank at the time of the takeoff after picking up the passengers. The airplane arrived at the oil rig about 1.5 hours after departure; the flight was uneventful. The airplane circled the oil rig for about 1 hour to complete the photography. Afterward, the pilot established a return course. About that time, he noted that the fuel quantity gauges showed less fuel remaining than expected. He leaned the engine mixtures as much as possible and visually examined the airplane for a fuel leak but did not observe any such indication. The pilot elected to deviate to a closer airport due to low fuel. Both engines lost power about 1 hour into the return flight, and the pilot executed a forced landing to a canal, resulting in substantial damage to the airplane. One of the passengers stated that the pilot had informed him that the airplane had not been "topped off" but that sufficient fuel was on board for the flight. A postaccident examination of the airplane did not reveal any anomalies that would have contributed to a dual loss of engine power. During the recovery process, no fuel sheen was observed on the water, and no fuel was observed in the fuel tanks. The total elapsed flight time from the operator's base to the accident site was 3.8 hours. The airplane's owner indicated that the airplane's hour meter ran only when the landing gear was retracted, so the engine run time when the landing gear was extended could not be determined. The pilot's operating handbook for the airplane make and model noted a fuel flow of about 10 gallons per hour for each engine at economy cruise power. The handbook also stated that airplane cruise performance would be reduced by about 5 percent when the airplane was operated with the aft doors removed. The pilot's inadequate in-flight fuel management, which resulted in a dual loss of engine power due to fuel exhaustion. On February 6, 2018, about 1715 central standard time, a Piper PA-34-220T twin-engine airplane, N9148B, was substantially damaged during a forced landing following a dual loss of engine power near Patterson, Louisiana. The pilot, pilot-rated passenger, and one passenger were not injured. The second passenger sustained serious injuries. The airplane was registered to and operated by Air Reldan Inc. as a Title 14 Code of Federal Regulations Part 91 aerial observation (photography) flight. Day visual meteorological conditions prevailed. The flight was operated on a visual flight rules flight plan. The flight originated from the South Lafourche Leonard Miller Jr. Airport (GAO), Galliano, Louisiana, about 1347 and was destined for the Harry P. Williams Memorial Airport (PTN), Patterson, Louisiana. 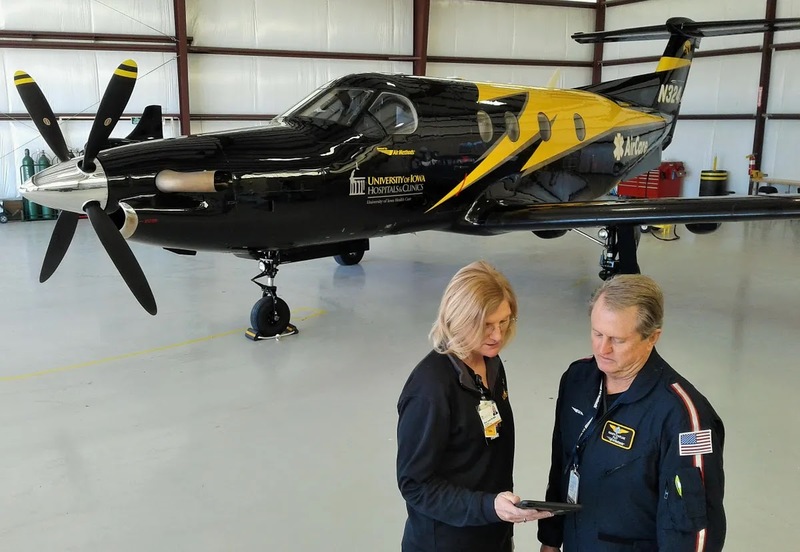 The pilot reported that a preflight inspection was completed before departing from the operator's base at St. Tammany Regional Airport (L31). According to the pilot, fuel was visible "in each tank at the bottom of the sidewall" and the fuel gauges indicated about 45 gallons "a side." He completed the 30-minute flight to GAO to pick up the passengers without incident. The purpose of the accident flight was to photograph an oil rig located in the Gulf of Mexico about 185 miles southwest of GAO. At the request of the passengers, the aft cabin door was removed from the airplane to facilitate the photography mission, which limited the airspeed to 130 knots. The fuel gauges indicated about 40 gallons per tank at that time. The flight arrived at the oil rig about 1 hour 20 minutes after takeoff and the pilot proceeded to circle for about 30 minutes. When the photography was complete, the pilot established a return course with an estimated time enroute of 1 hour 2 minutes. The fuel gauges indicated about 10 gallons in each tank at that time. With concern about the amount of fuel remaining, he leaned the engine mixtures as much as possible. He visually examined the airplane and did not observe any indication of a fuel leak. He elected to deviate to PTN as the "best bet" in light of the low fuel situation. The right engine subsequently lost power about 24 miles from PTN; the left engine lost power several minutes later. The pilot executed a forced landing to a canal adjacent to the Atchafalaya River. One of the passengers stated that the pilot informed him the airplane had not been "topped off" but that sufficient fuel was onboard for the flight. The passenger utilized a GPS tracking application that "geotagged" the photos taken during the flight. He reported that the accident flight departed GAO at 1347 and arrived at the oil rig at 1514. The photography work was completed at 1607. During the return trip, the pilot became concerned about the remaining fuel quantity. He decided to divert to PTN about 1628. The first engine lost power about 1708, followed by the second engine about 1715. The Federal Aviation Administration inspector assigned to the accident reported that the airplane came to rest in shallow water. A post-recovery examination of the airplane did not reveal any anomalies that would have contributed to a loss of engine power. Recovery personnel informed the inspector that no fuel sheen was observed on the water, no fuel was observed in the fuel tanks, nor was any fuel observed during the recovery process. The inspector reported that based on the hour meter readings, the total flight time from dispatch at L31 until the accident was 3.8 hours. The airplane owner informed the inspector that the hour meter ran only when the landing gear was retracted. It did not record the engine run time when the landing gear was extended. The Pilot's Operating Handbook noted a fuel flow of about 10 gallons per hour for each engine at economy cruise power. The maximum permitted airspeed with the aft doors removed was 129 knots. The handbook also stated that the airplane cruise performance will be reduced by approximately 5-percent when operated with the rear cabin and cargo doors removed. Registered Owner: Air Reldan Inc.